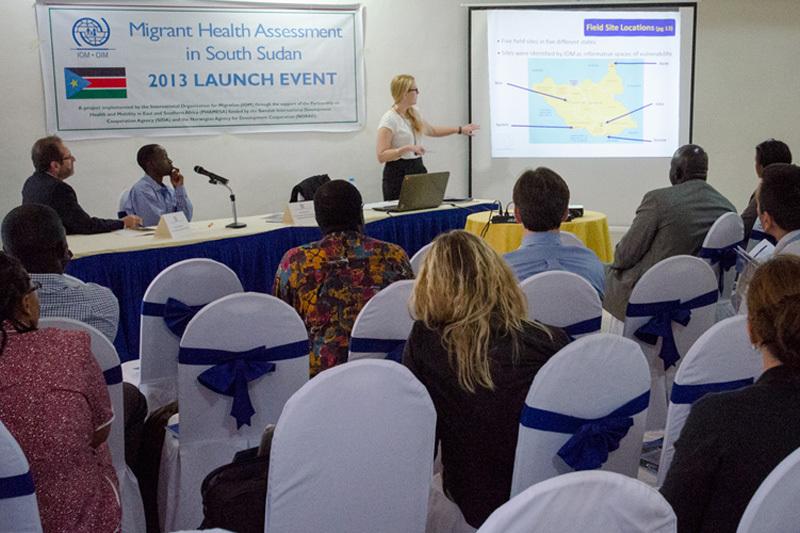 IOM Egypt opened its migration health assessment centre (MHAC) for the purpose of providing full health assessments to migrants and refugees migrating from Egypt. The centre, which was opened 16 March, provides services to self-paying Egyptian migrants and refugees going through the resettlement process to five countries: Australia, Canada, New Zealand, the United Kingdom and the United States. The centre also offers full health assessments, including immunization and pre-departure medical screenings with presumptive treatment, to all applicants based on each receiving country’s relevant guidelines. It is a one-stop shop for all activities related to health screening, including registration, counselling, nursing operations, physical examination, phlebotomy/lab services, radiology and vaccination. A complete setup is present to cater for pre-departure services along with presumptive treatment administration. “MHAC has already received empanelment for all major destination countries and secured the right to carry out health assessments for self-paying Egyptian migrants as well, ranking Egypt as the second country in the MENA region to reach the health assessment goal of health assessments for all major countries,” said IOM Egypt’s Head of Migration Health Unit Dr. Asma Nadeem. Since January 2015, IOM has conducted around 5,300 health assessments for various countries, 4,500 pre-departure medical screenings and 2,900 presumptive treatment administrations.